1. 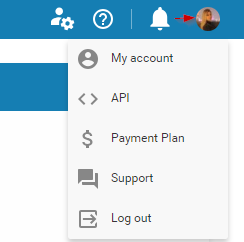 How to access "My Account" Panel? 2. 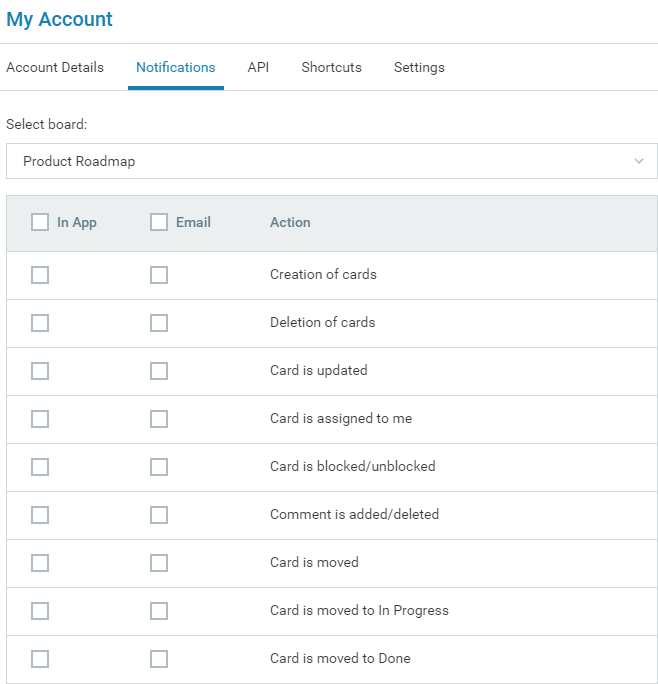 An overview of "My Account" panel? 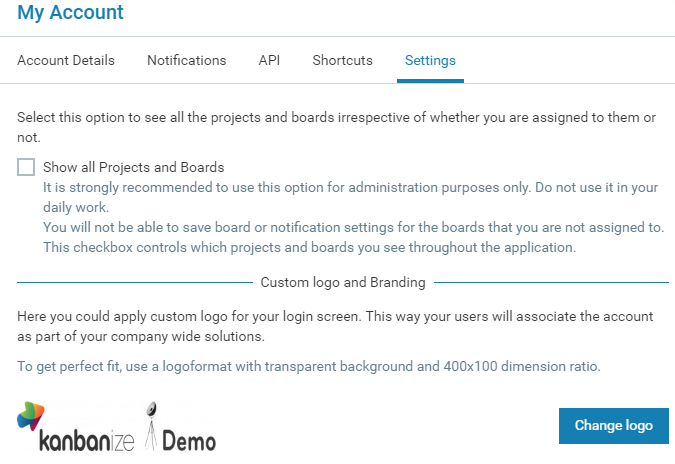 - You can upload an avatar from the plus icon to the left side of the panel. 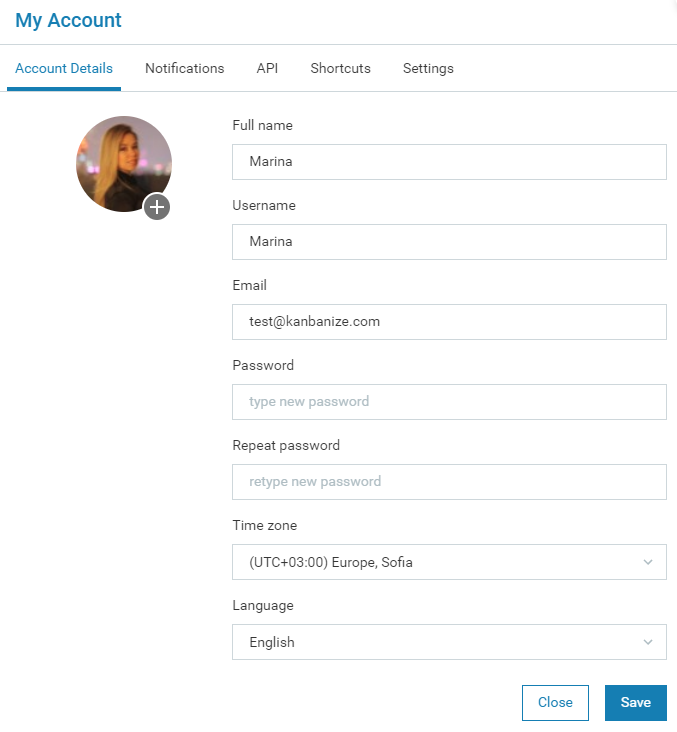 ACCOUNT DETAILS: manage your Kanbanize credentials and settings: username, password, registration email, set your time zone, choose your language preference. 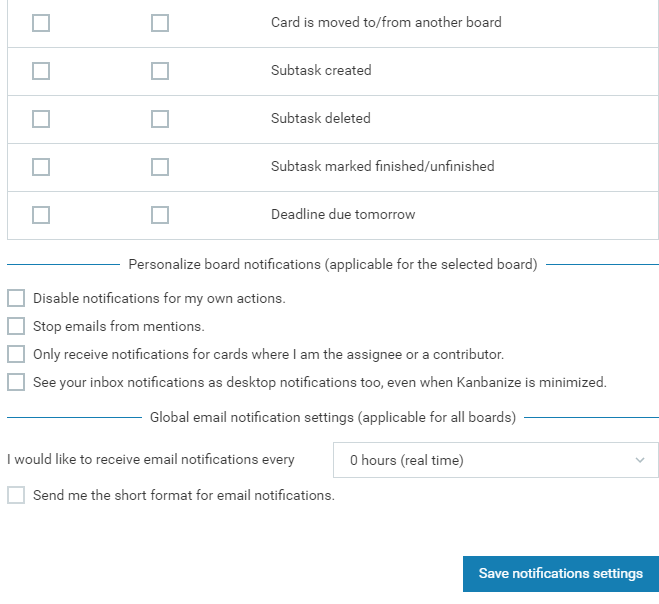 - NOTIFICATIONS: from this tab users can configure your system notification settings. 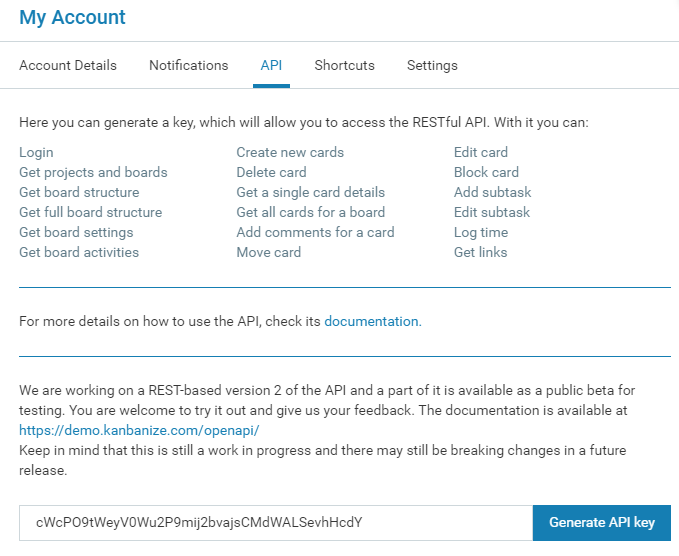 - API: In this tab, you can generate a key, which will allow you to access the RESTful API. 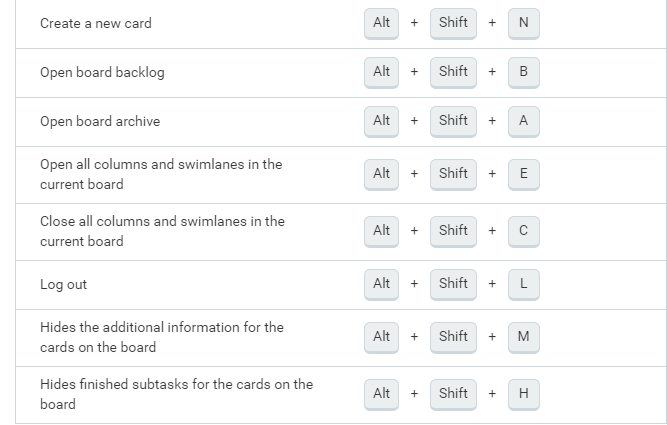 - SHORTCUTS: in this tab, you can find a list of short keys for actions and navigation in Kanbanize. - SETTINGS: This tab is available for Account Owners only. 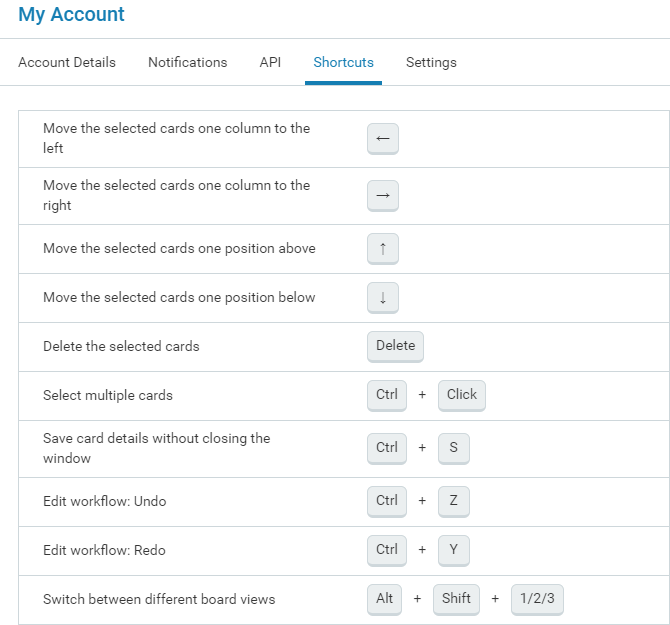 Here you can activate your admin view to see all Workspaces and Boards in the account even if you are not assigned to them. Note: The Settings tab will not be visible to you if you are a regular user or a Workspace Manager.